One day, my train of thoughts got me pondering about what my life was like before my beautiful 13-month-old son arrived. Aaaah – the life before and after children; something that all mothers can relate to! Before Children- A lovely cup of hot milk tea is my favourite drink. I used to be able to leisurely sip it down, at a seat, frequently, and the entire experience would be enjoyable. I'd normally be drinking it while reading or even talking to a pal. Post Children- Down to minimal 2 cups a day. My cuppa is generally made in a rushed fashion, while having my little infant tug at my top because he wants to be lifted and hugged. Beverage is usually cold by the time I get a chance to actually drink it. When it is microwaved, it sure tastes awfully funky. Before Children - A variety of freshly prepared warm meals, which are generally enjoyed while seated at a table. Occasionally, love eating out with family or friends without distractions or worries that the menu would go flying off the table. After Children - Eating out with the infant is impossible, unless s/he is fast asleep in the pram. The best you’ll get is a quick ingestion of nutrients shoved down, hoping to be spared from digestive distress or actual damage to the oesophagus. Before Children - Plenty of time to procrastinate whether the blue top fits better than the pink or if those palazzo pants go well with the buttoned down blouse. Browsing through shops and floors was never really given much thought to. After Children - Quick quick, just grab it! Does it fit? Never mind! It doesn't matter! S/he’s crying too loud and we have to leave! In your mind, the best you can tell yourself is that you will get to shop when s/he leaves for school or if you are lucky, s/he is asleep, though by then, the season would be over and you will just have to be satisfied with the old closet. Before Children - Awesome place where people practise singing skills or think of ideas while under a hot stream of water or buried in bubbles. Enjoyed leisurely as willed and always with shampoo, conditioner and a body wash. Twice daily. After Children - This daily habit was never appreciated enough. Today, the experience is very much the lightning type with a crying child hitting your door. Before Children - A frequent indulgence and without much holdbacks except for the schedule that I used to follow. It was generally a daily habit not thought of. After Children - Pretty much non-existent. Do not bet on it, stop missing it, and just get used to it! Being a mother is an amazing quality that challenges the human potential. In essence, one’s strength and ability to survive from limited functions. Before Children - A daily thing that no one takes notice of, nor appreciates. After Children - Similar to sleeping, alone time will never be yours again. 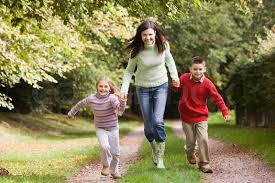 There is no such thing in the vocabulary of mothers to have time for yourself, for luxuries, or any other necessities. This is where the ideology of SUPER MUMS take over. Before Children - Everything back then was temporary. Materialistic joys only lasted as long as it could, as do trends, and true feelings were rare. After Children - Nothing compares to the joy you get from your child’s smile, laughter, hugs and the love that comes pouring at you endlessly. I never really got to sit down after I had Tessa 7 years ago. She was always screaming and crying for attention! Boy it was a nightmare. But it's better now that she has grown up. Once a mother, always a mother. I still have work to do, but at least I don't have to be worried that I may suffer from perforated eardrum! But the drawings she made for me about being the greatest mum in the world - makes it all worth it!